Doctor’s Choice Placement Services has countless physician opportunities in Alabama. We have employment opportunities for permanent as well as locum tenens doctors in a range of different specialties. Our staff of veteran recruiters are happy to assist you with all of your staffing needs! 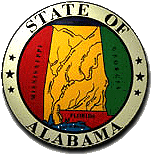 Alabama is located in the southeastern United States. The capital of Alabama is Montgomery and the state’s largest city is Birmingham. Alabama tends to have mild winters and hot and humid summers, with the hottest weather being on the southern gulf coast. In addition to over 30 colleges and universities, Alabama has 3 medical schools including the University of Alabama School of Medicine, University of South Alabama and Alabama College of Osteopathic Medicine. Alabama’s economy is largely based on agriculture including the production of peanuts, cotton, soybeans and peaches and industry which includes automotive manufacturing and aerospace products. Search through our library of Alabama physician jobs, which remains updated daily and is registration-free! Additionally, our services are 100% free! We have job openings everywhere in Alabama, including Birmingham, Tucsaloosa, Montgomery, Mobile, Gadsden, Huntsville and more! As a full service contingency firm, no fees are required until we completely fill your search. Doctor’s Choice Placement Services represents more than a thousand doctors seeking employment in Alabama. Contact our Alabama physician recruiters for additional info. You can register at our Alabama physician employers page, or call us toll-free at: (800) 510-0975.